About HOPERA – HOPERA: A HIP HOP OPERA. performance loosely based on the Shakespeare theatric Othello. Last summer, HOPERA returned to the spotlight with HOPERA: Unleashed, featuring a live performance series of the company’s first studio album. Adrian Dunn recently returned from singing an opera festival in Spoleto, Italy summer 2010 and was recently nominated for “Best Music Director” from the Black Theater Alliance Awards 2010 for his work on HOPERA: A Hip Hop Opera. He has opened for international hip hop recording artists The Roots at Indiana University Auditorium in 2005 and was a featured solo artist on the Higher Ground Live DVD recording in Finland (2007). He has prepared and provided background vocals for numerous pop & gospel artists in the United States and abroad, including Tony Momrelle (UK band Incognito), Rena Darling (EU), Max C (EU) and others. He has also sang with the Chicago Symphony Chorus, Grant Park Symphony Chorus, and appeared as a vocalist with the Rob Parton Jazz Orchestra. Mr. Dunn’s Opera and Oratorio credits include L’enfant et les Sortilege, The Scarf (Hoiby), Faure Requiem, The Seven Last Words, Chichester Psalms, Walton in I Puritani, Figaro in Marriage of Figaro, Leporello in Don Giovanni (Scenes) and a frequent bass soloist in Handel’s Messiah. Mr. Dunn served as the Artistic Director and principle conductor of the Legacy Black Music Project at Roosevelt University. The Chicago Sun Times hails, “Dunn’s HOPERA score is hugely impressive” “Superb and powerfully sung”. He received a 2009 Mac Arthur Foundation and Richard Dreihaus Foundation grant for his innovative work with HOPERA: A Hip Hop opera. He recently recorded his freshmen CD project “Introducing Adrian Dunn. The Voice.” He holds a Bachelor of Music & Master of Music (in progress) in vocal performance from Chicago College of Performing Arts, Roosevelt University where he studies with Metropolitan Opera Baritone, David Holloway. 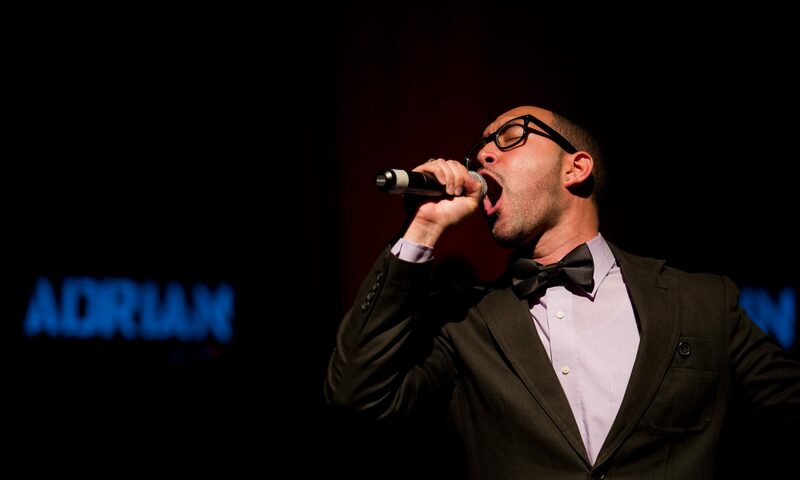 Co- lyricist- Bobby Burns has been involved with the hip hop community for over eight years. He began his career as a solo artist performing original material on Northwestern University’s campus and various Chicago hip hop venues. The HoperaWorld creative team also involves Stage Director Rueben D. Echoles, Choreographer Ebone’ Sheree Lewis and Music Production by Steven Dukes. HoperaWorld is a production company focused on exploring the musical fusion of hip hop and opera (Hopera) and presenting professional performances of the highest artistic quality. HoperaWorld has performed and presented workshops at The Chopin Theater, DuSable Museum of African American History, Columbia College Chicago, Kennedy King College, The Building Stage Theater, Northern Illinois University, Illinois State University and the World Premiere performances at The Diana Reese Performing Arts Center in Cleveland, Ohio. Roosevelt University has presented the HOPERA Summer Music program for high school students.